Rent rolls are the key to lease-by-lease underwriting and future securitization transparency. This page shows how to create a “sellout” rent roll. 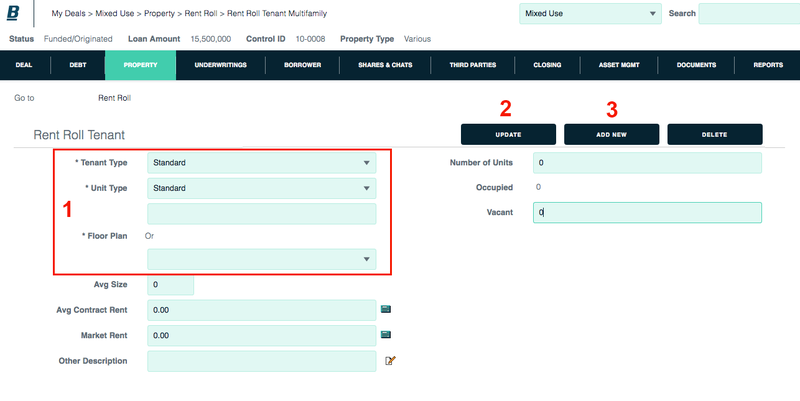 For a chart of rent roll methods and property types, see Add rent roll. 1. Click the Property tab and the Rent Roll sublink. 3. 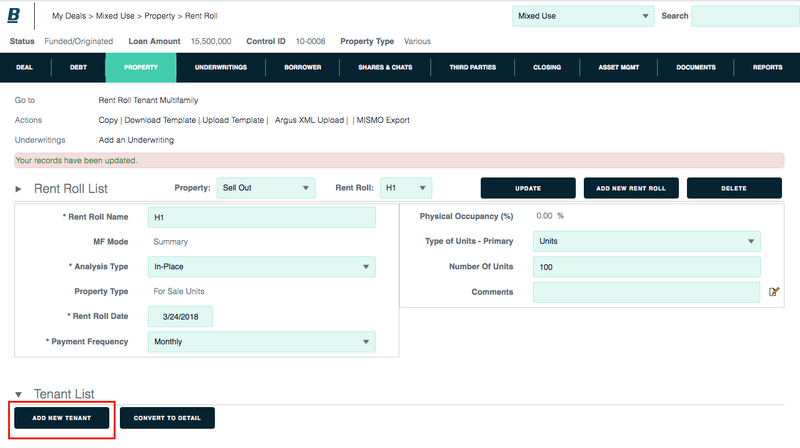 Click the Add New button on top right of the rent roll module. 1. Enter the required fields. Enter or edit as much information as you like. You can always return to this entry. After you click the Update button, the tenant list will be enabled. In the rent roll page’s tenant list module, click the Add New button. 1. Enter tenant type, unit type and floor plan, which are required. Enter or edit as much additional information as you like. 3. To add another tenant, click the Add New button.